Welcome to The Gainesville Municipal Golf Course. 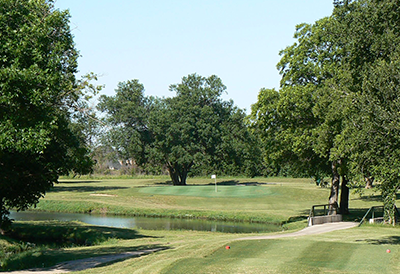 Here at Gainesville Municipal Golf Course we provide everything you need to create a truly unforgettable round of Gainesville, Texas golf. Players at our course love everything from the stunning natural terrain to the friendly staff to the impeccable grounds maintenance. This club has been a popular destination since it first opened for play in 1956. The golf course is located 3.5 miles west of Interstate 35 on Highway 82. For a reasonably priced round of golf, the Gainesville Municipal Golf Course is a must to try. The Gainesville Municipal Golf Course design lends itself to be enjoyed by the beginner as well as the most accomplished golfer. Wide open fairways along with crowned greens allows this course to be enjoyed by all. Just be prepared to reach for each and every club in your bag as you work to conquer this classic course. Finally, don't forget to set aside some time to stop and say hello. We can't wait to meet you!